My husband returned home and we had breakfast together after his red-eye flight…life is back in sync. Spin class flew by, energized by amazing music courtesy of Flywheel founder, Ruth Zukerman. Any soundtrack with Joe Jackson’s, Steppin’ Out, spells good times. 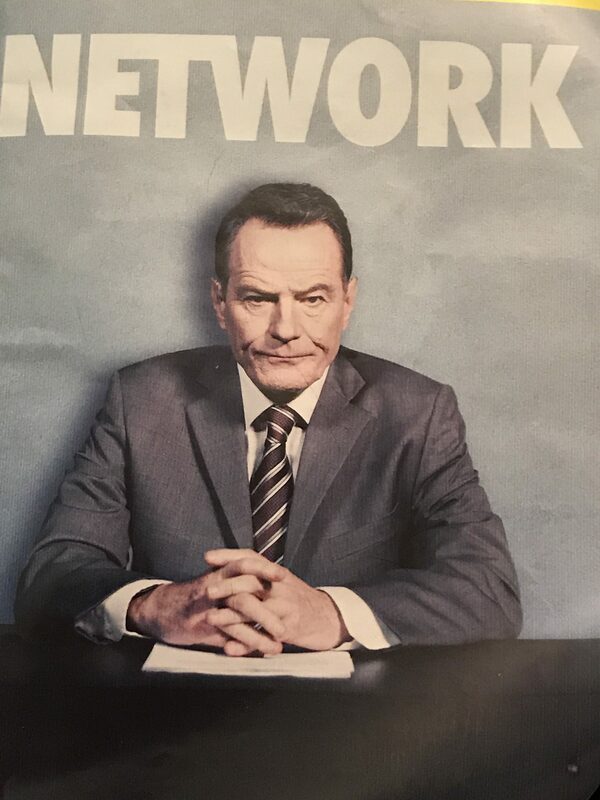 The afternoon was highlighted by the highly charged performance by the always fabulous Bryan Cranston in the riveting Broadway production, Network. Everything about the play is dynamic…sets, performances, direction and smart, glib, forceful dialogue. 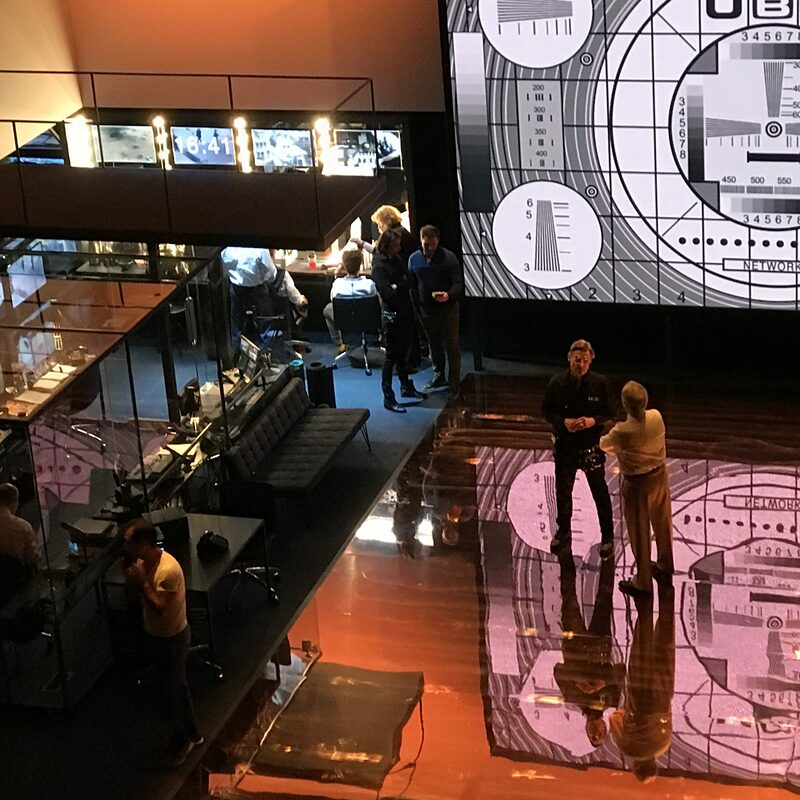 Lee Hall and Ivo van Hove adapted the play, which is based on the 1976 film by Paddy Chayefsky. It won four Oscars, including best actor for Peter Finch’s portrayal of Beale. The ever-timely satire depicts a media landscape where the line between facts and fiction becomes hazy. Network is a must see and it is freaky how timely it is considering the current political climate, the influence of television news and the overriding anxiety present in today’s society. Beyond the fact that it is such a satisfying theatrical experience, the play ends with clips from the inauguration of past presidents. When Agent Orange’s is shown, the entire theatre booed and hissed endlessly. The audience clapped for George H.W. Bush and cheered voraciously for Obama. An adult beverage at Landmarc with my buddy was needed to celebrate the end of a hideous relationship with a real estate broker, one of the most negative, toxic women I have ever encountered. The night ended with binging on Bodyguard, the BBC hit series on Netflix which grabs you by the short and curlies and doesn’t let go for 6 action packed, terrorist filled episodes. It’s 2:00am and I’m still riding high. Network 111 West 44th Street NYC. Opens tonight through March 17th, 2019. Running time: 2 hours with no intermission.